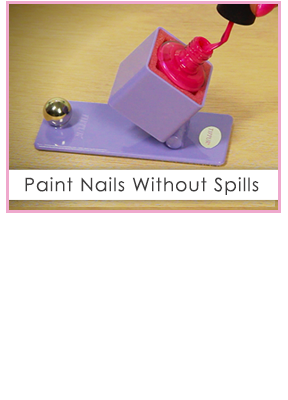 Styling Your Nails Has Never Been Easier! Tippur Makes Doing Your Nails Fun, Fast & Easy! 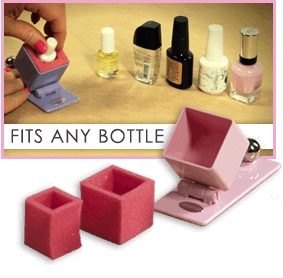 Tippur's unique foam insert design accomodates any nail polish bottle. 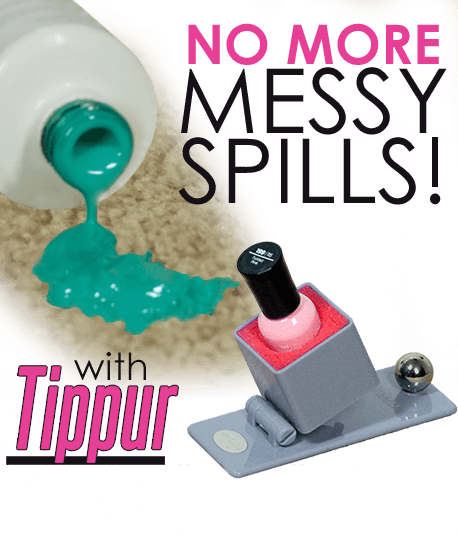 Tippur angle-adjusts for ease of use and so you can get more polish out of the bottom of the bottle. 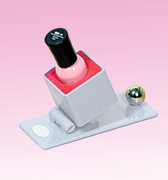 "I am a hard sell when it comes to trying new nail products. I was asked to use the Tippur and give it a trial run. In no time at all I realized how great this device is." 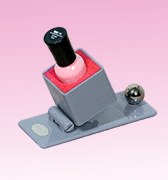 "Having used the Tippur for many years I couldn't go back to the old way of doing nails." 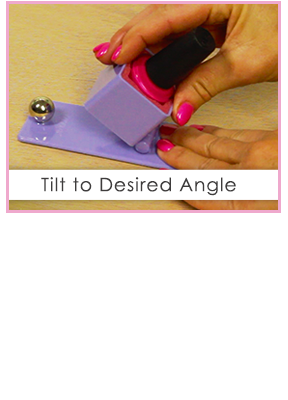 "As a nail tech, I use this item daily. The Tippur gives total control over the bottle, I never worry about spilling or dropping." Order your Tippur today for only $14.95 with FREE SHIPPING. Money Back Guarantee less s&h.